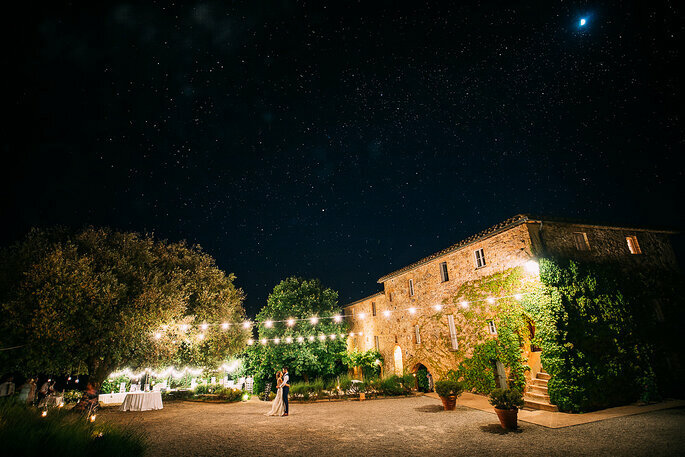 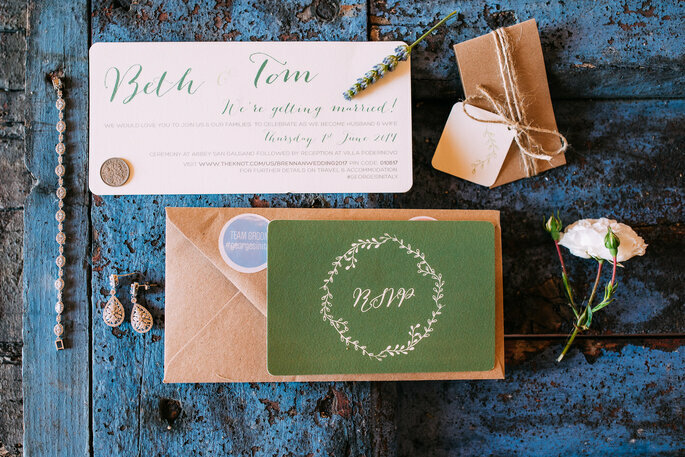 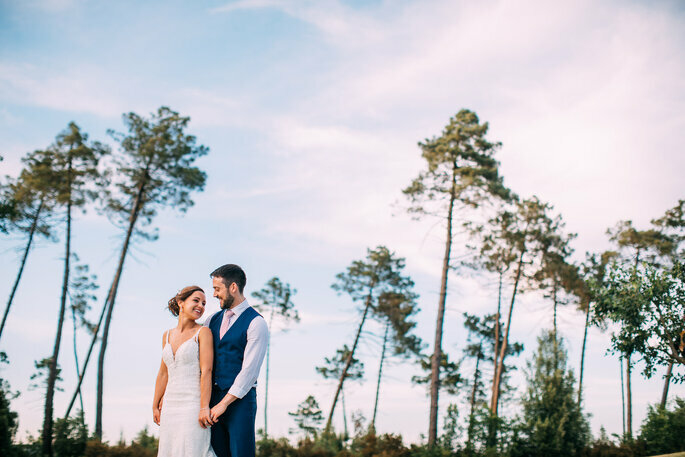 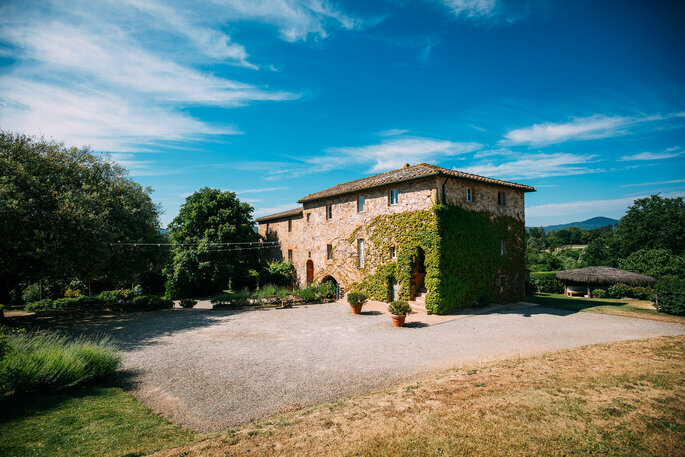 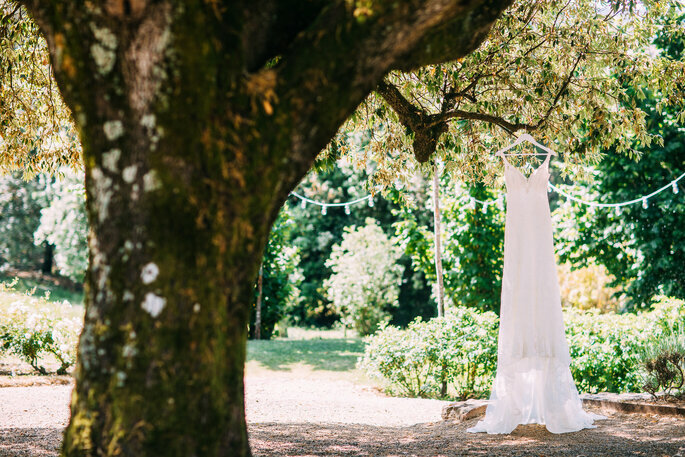 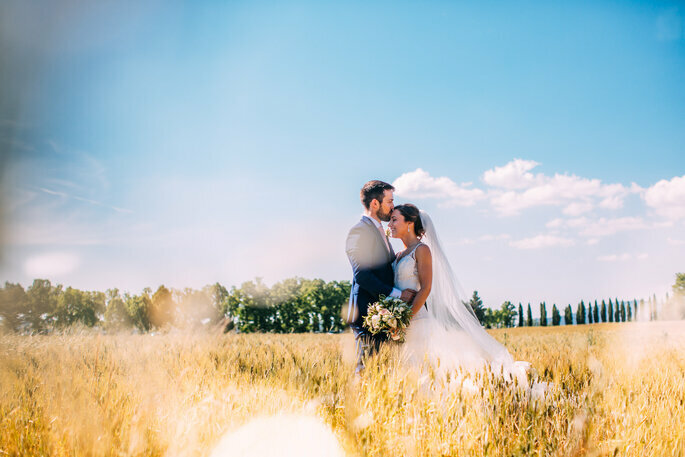 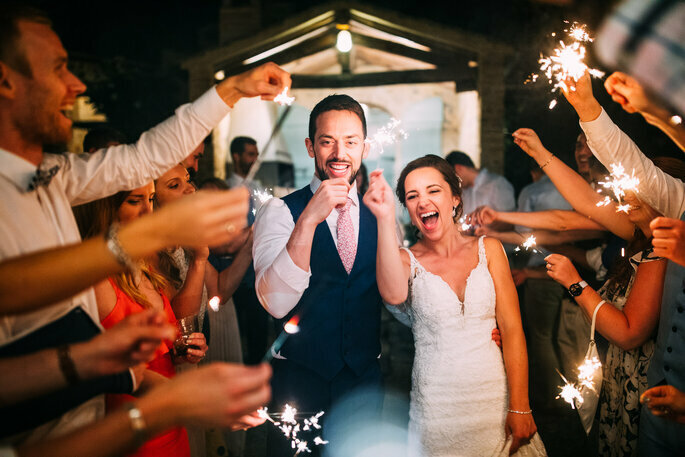 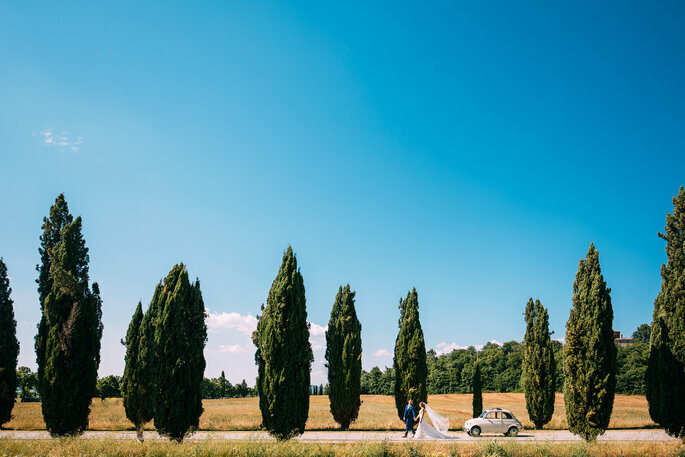 It is widely agreed that there are few places better to have a Destination Wedding than in the idyllic Italian countryside, and Beth and Tom’s elegant Tuscan ceremony goes to show just how right those people are. 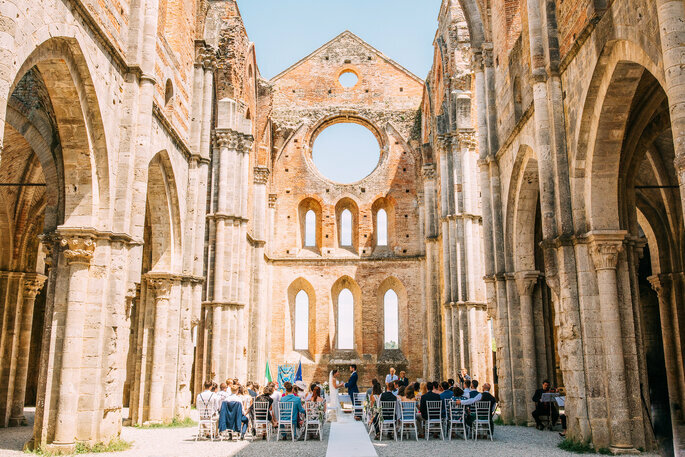 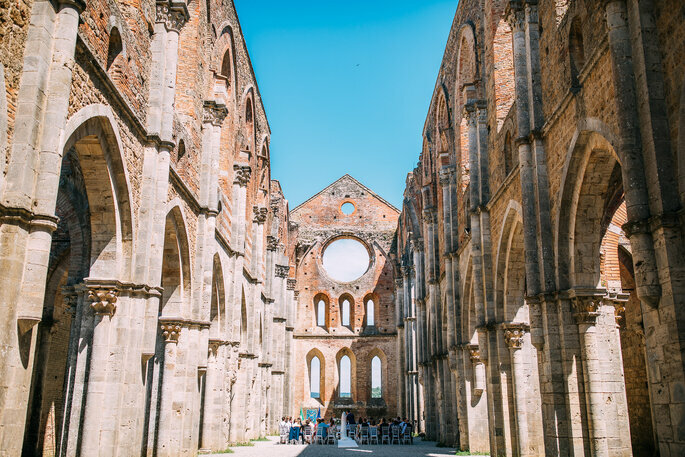 With their civil service performed in the San Galgano Abbey – an historic venue, full of character, and with a lovely open-air atmosphere due to the lack of roof! 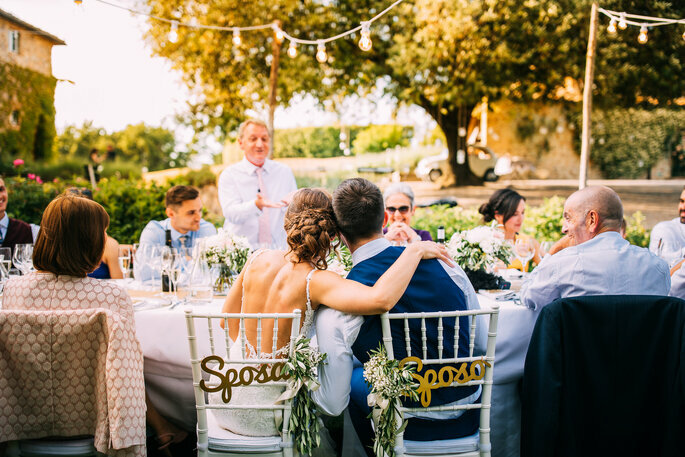 – and their reception held at the charming nearby Villa Podernovo, Beth and Tom created a vintage theme for their special day. 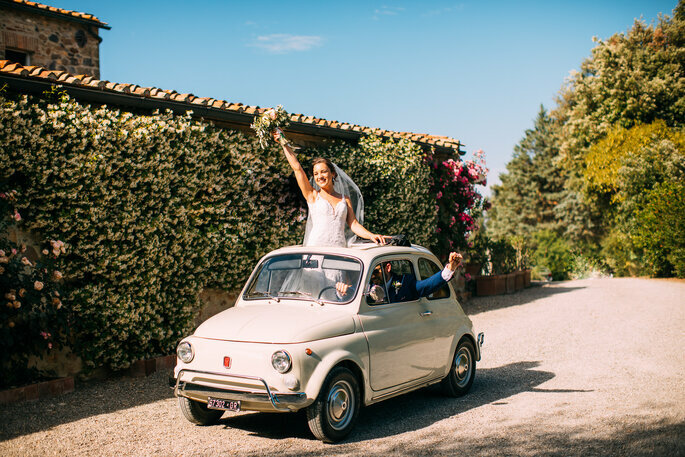 This was emphasised in the decoration and extra finishing touches – such as the classic Fiat 500 that took the couple from their wedding venue to the reception! 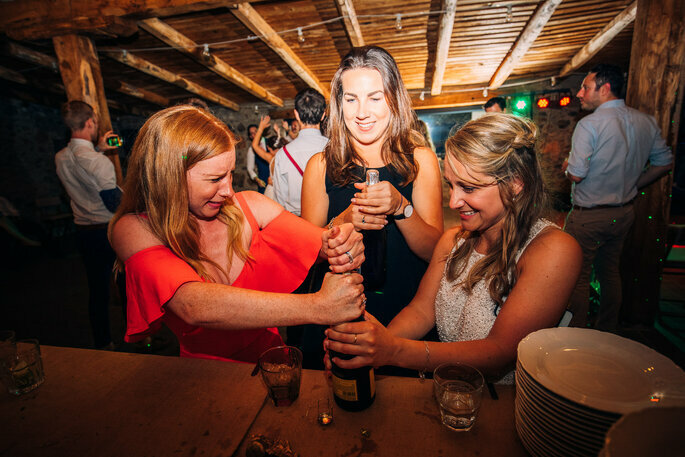 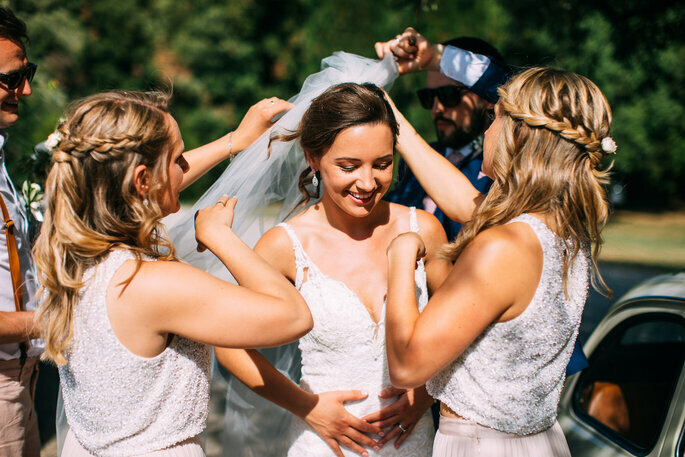 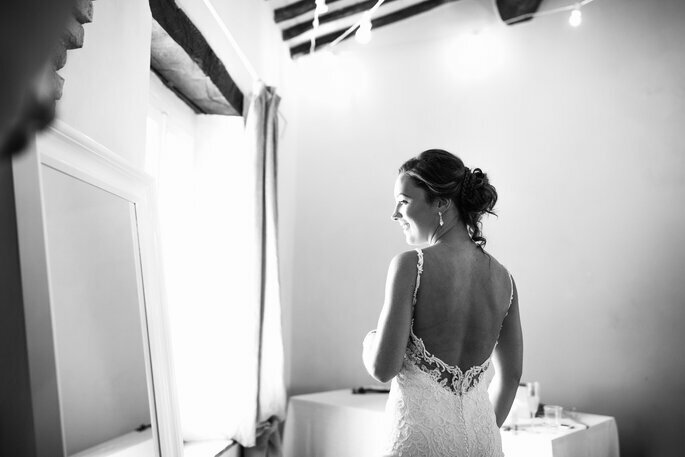 Beth wore an incredibly chic form-fitting backless lace dress, which glittered under the beaming Tuscan sun. 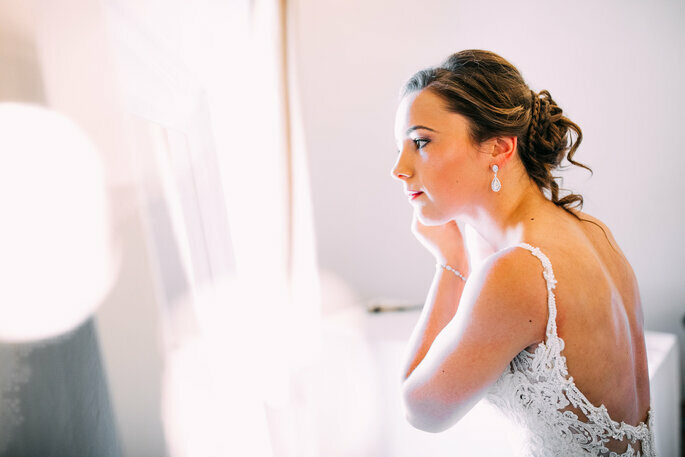 Her jewellery was subtle and simple, creating an image of the most sophisticated, classy bride, and undoubtedly every guest’s eye was trained on her as she walked down the aisle. 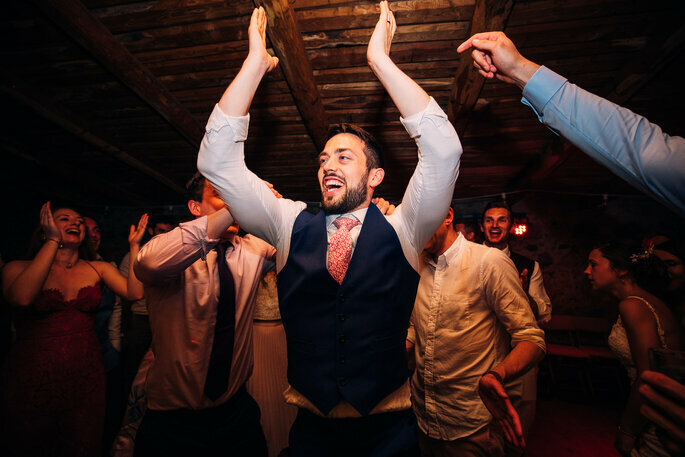 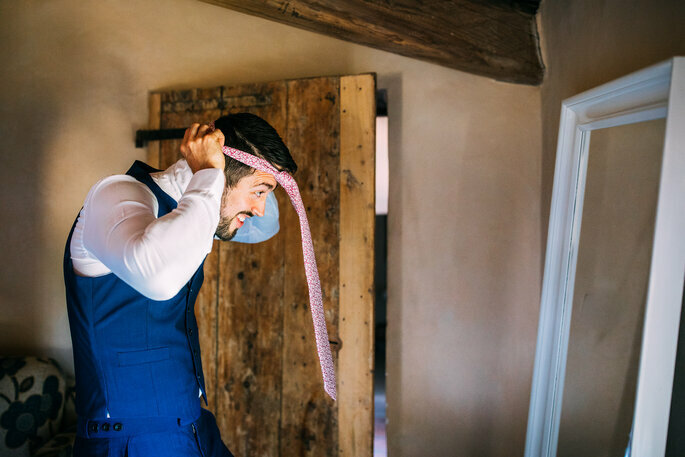 Tom looked dapper alongside his bride, donning a three-piece Yale blue suit, complete with chestnut brogues and a floral tie that mirrored the natural surroundings of their wedding venue. 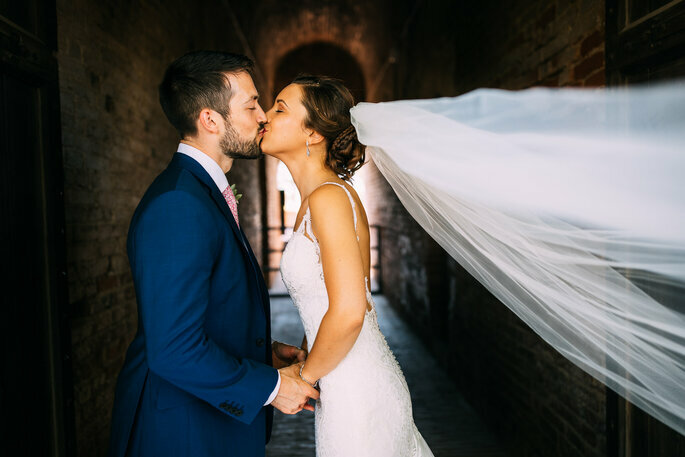 The couple’s respective outfits were completely in-sync, making for some really gorgeous photos of the two of them together. 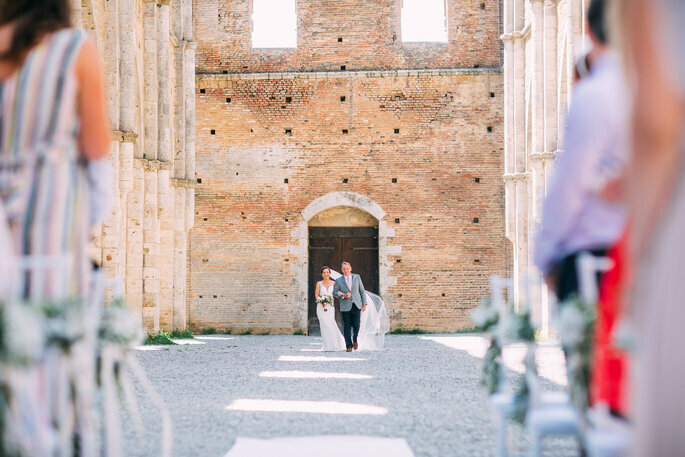 After their emotive ceremony at San Galgano, the couple and their guests returned to the Villa Podernovo for their delightful reception. 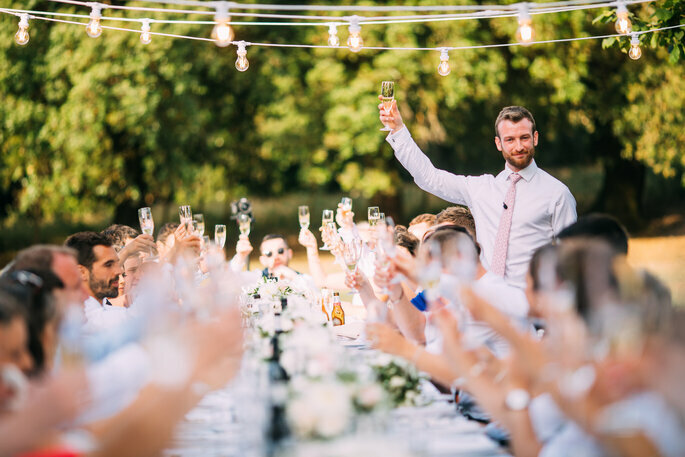 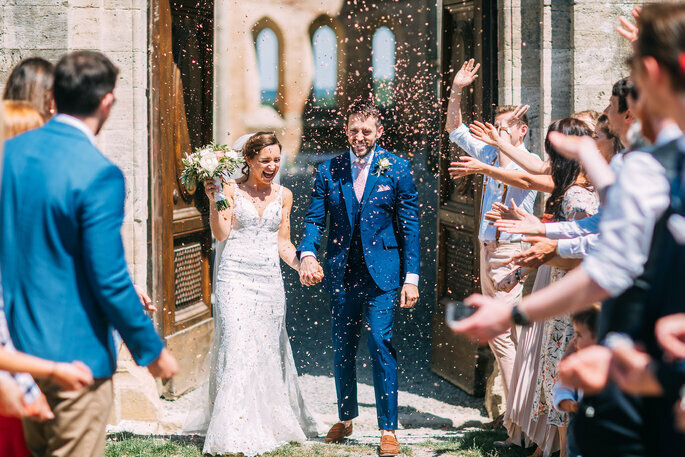 With drinks and canapés provided by the venue, Beth and Tom could relax amongst their closest friends and family, and enjoy their first few hours as a married couple! 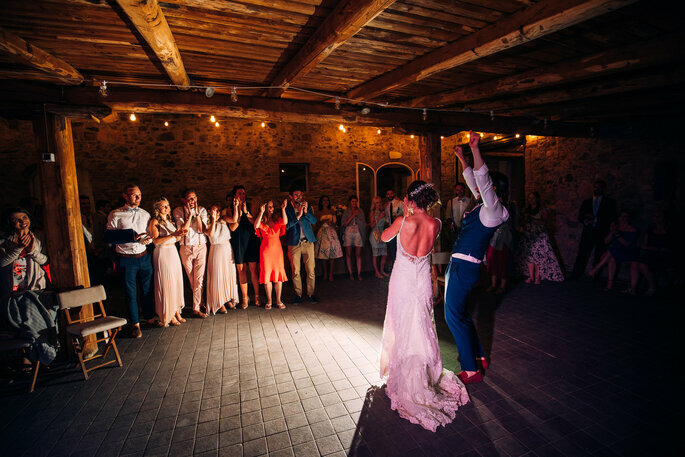 The venue was decorated in the traditional white, but with pastel colours popping up in flowers and favours; the vintage theme was injected into the venue with the use of festoon lighting. 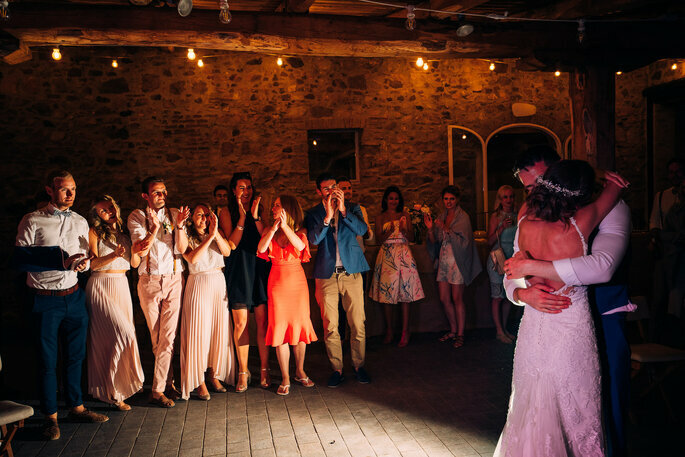 As afternoon turned to night, the wedding party moved indoors, where they enjoyed an evening of dancing – the perfect ending to a wedding as beautiful as this! 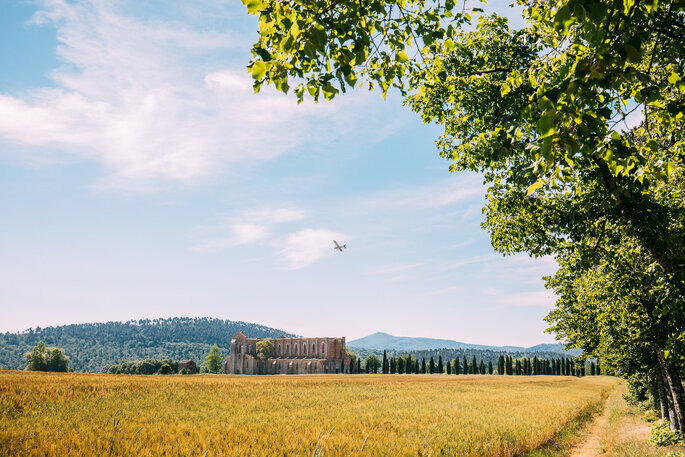 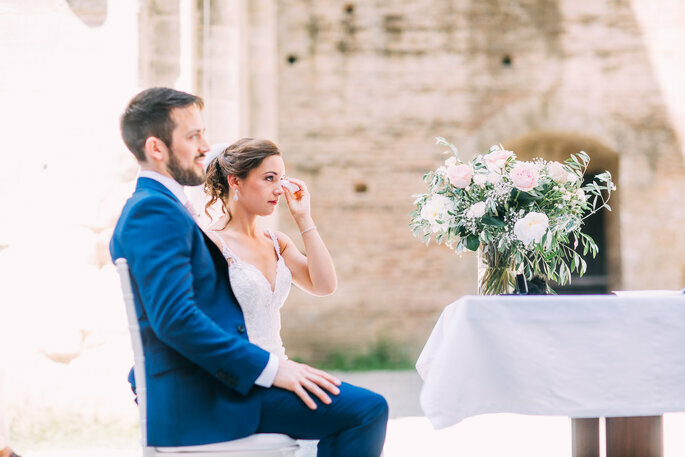 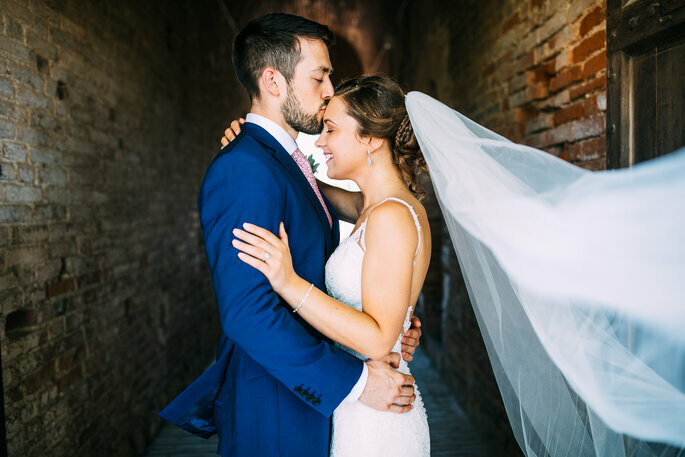 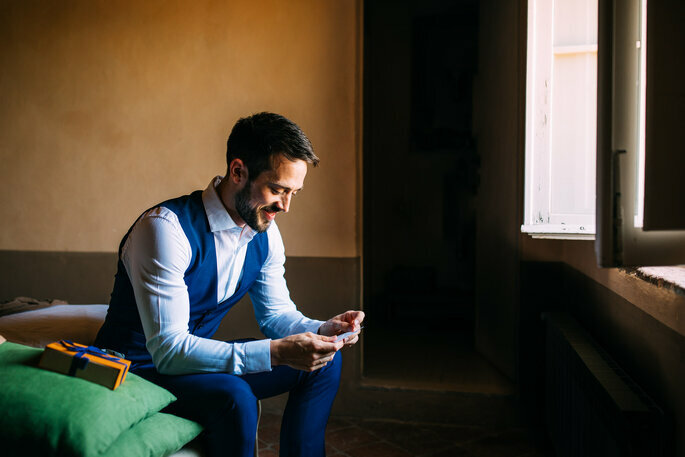 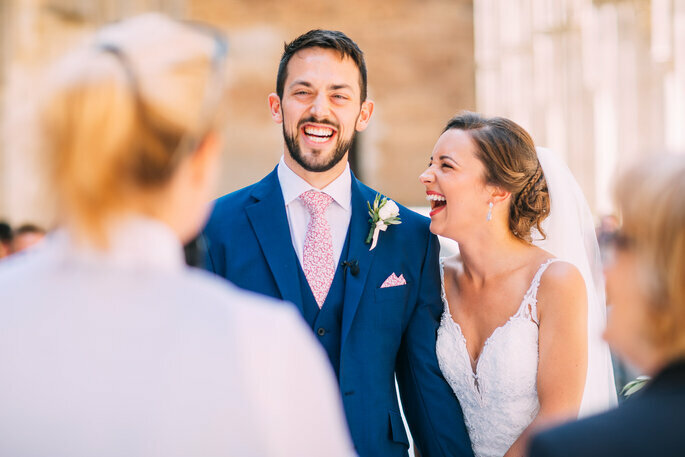 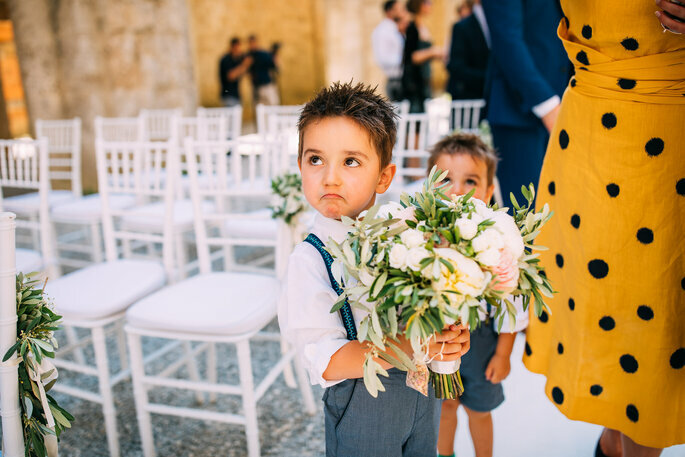 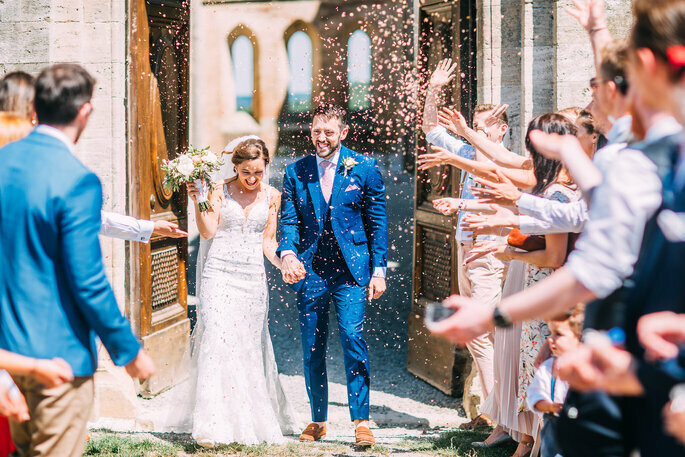 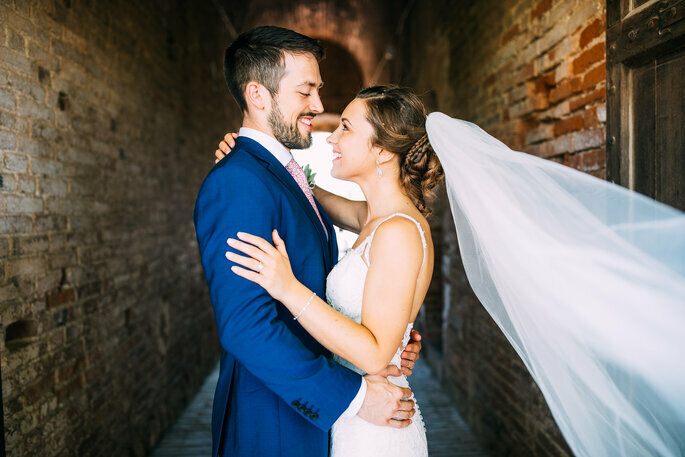 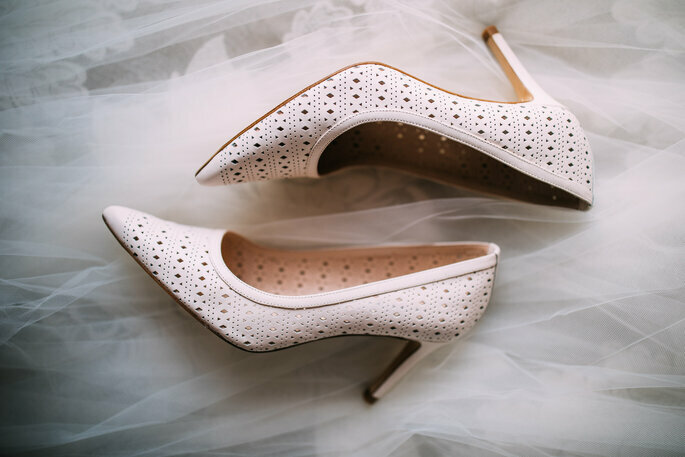 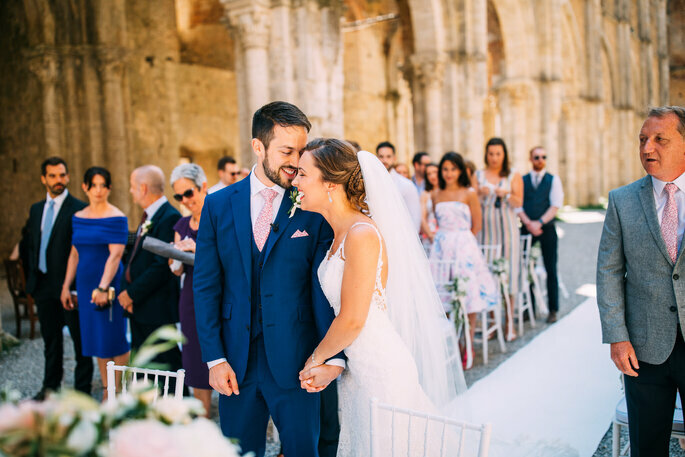 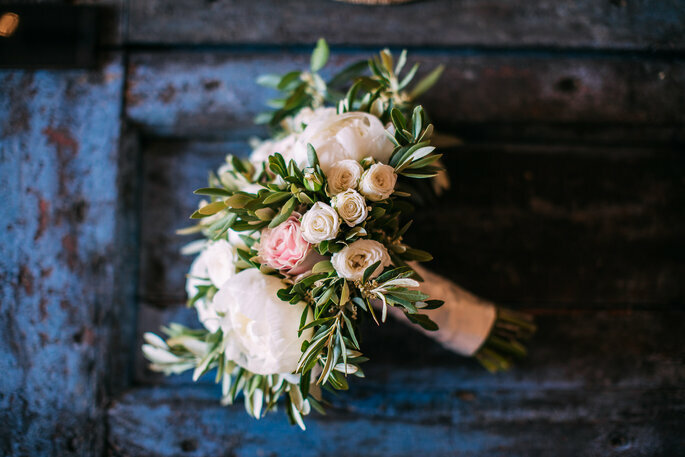 Credits: Photographer – Albert Palmer; Videographer – Ben Walton; Wedding dress – Ava Rose Hamilton; Groom’s suit – Ted Baker; Bridesmaids’ dresses – ASOS; Venue – San Galgano Abbey; Reception and catering – Villa Podernovo.